When the world of technology leaps forward, the property industry is never far behind. It all started with the internet and websites, no longer did estate agents need to solely advertise properties in shop windows and magazines, it soon became all about online listings. When smart phones provided useful apps, Rightmove and Prime Location followed suit with a couple of fantastic property apps that allowed house hunters to browse the latest houses for sale whether they were on the bus or in the middle of a meeting. QR codes were next up, with home buyers able to find out more in-depth information on a property simply by scanning a bar code on a property listing or even an estate agent sign. But what could possibly be more high tech than all this? Wearable technology is already sweeping the nation and the cutting edge product known as “Google Glass” is right at the forefront of all this. The product involves a device that is worn somewhat like a pair of spectacles that can be used to take both pictures and videos. "For estate agents, it lets the client see exactly what the home is like from the viewer's perspective, thus allowing the agent or vendor to add value in a way that was not possible before." According to the National Association of Estate Agents, the number of house hunters is at its highest since May 2007, meaning the more technology that can be introduced into the industry to create modern and efficient viewing processes the better. 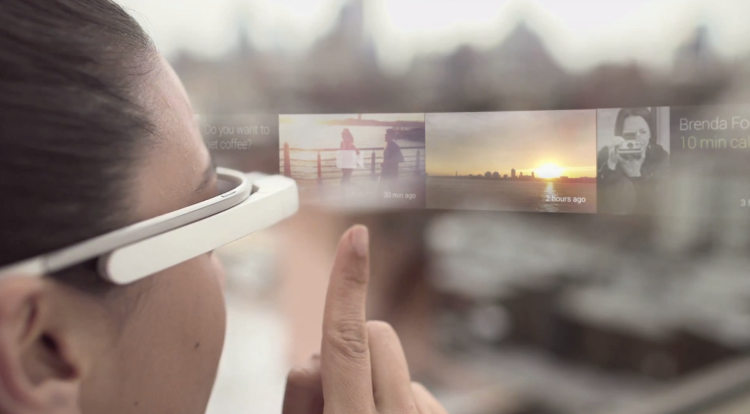 Google Glass can be used in a few different ways when it comes to properties being bought and sold. From the point of an estate agent, an entire tour via video can be produced live simply by an estate agent walking around the house. This means a “conference” style viewing can be created where people all over the world can tune in to get a full viewing while still being able to ask the estate agent questions at the same time. From a home buyers point of view, the technology could come in very useful when it comes to actually attending a viewing. When potential buyers view a house they don't tend to actually spend more than 5 – 10 minutes in the house itself, but with this new technology they can easily video their experience to watch back at a later date to really look closely at each room. The potential for this new technology is huge, it may be a new device, but the likelihood it that it will develop rapidly and quickly introduce new designs and features over the coming years. For estate agents this means the addition of geo-tagged property and neighbourhood information - house hunters will be able to drive round their chosen areas and find information about any relevant properties and be able to view not only the exterior of a house but the interior too, while finding out about the neighbourhood itself. As a huge game changer for both estate agents and potential home buyers, we are really excited to see Google Glass in use throughout the property search process and to see how it develops over the coming years.